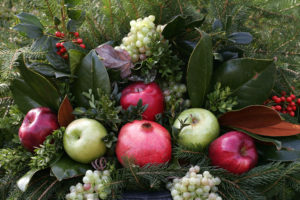 Holiday Container Seminars December 1st and December 6th from 6:00 p.m. to 8:00 p.m.
Join us for one of our holiday container seminars where you will be able to purchase exquisite containers (or bring in one of your own), fill them with high-quality greens and floral items, learn tips and techniques from professional designers, and all the while, have a great time with your friends! Admission is free but space is limited. Save your spot today by filling out our online contact form or give us a call at (773)-539-1200 and ask for Nicole, Jen, or Janella.